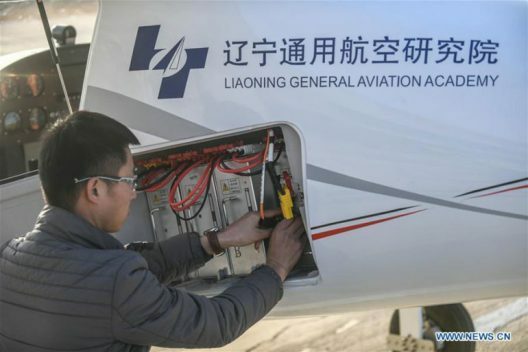 China Global Television Network, or CGTN, reports on an updated version of an electric airplane that first took flight in 2015. The original RX1E could fly for 45 minutes on its battery pack, limiting its utility. The RX1E-A’s six lithium battery packs can keep the new machine in the air for up to two hours and achieve a maximum speed of 160 kilometers per hour (99.4 mph). This type of performance makes it more suitable for training and cross-country flights. 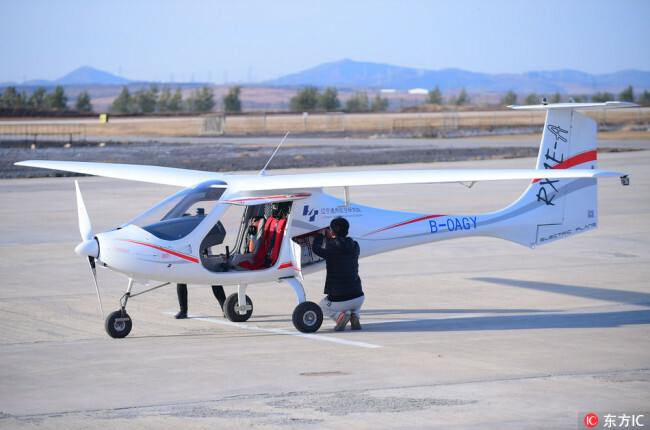 Similar to a long-winged version of Pipistrel’s Alpha Electro Trainer, soon to be produced in China, the RX1E-A grosses out at 600 kilograms (1,320 pounds), suitable for most Light Sport Aircraft regulations. 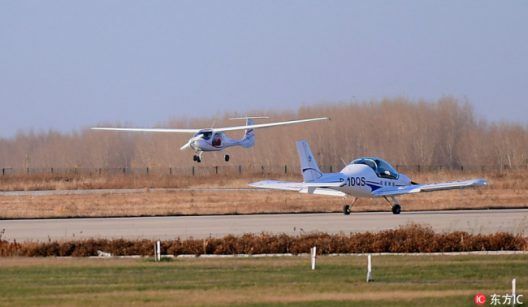 It will be interesting to see if production plans match those for Pipistrel’s electric trainer, and if this leads to a healthy competition between the two companies. Zou said that the Academy will soon begin development of a four-seat electric craft, adding to what looks to be an expansive future for the group. Since the two-seater requires only two pound sterling ($2.64) per hour for recharging, training can be provided at a cost level significantly lower than that for fossil-fuel powered aircraft. A similarly thrifty four-seat machine would make cross-country touring an enjoyable and inexpensive possibility. With 128 orders reported for the original airplane, the improvements in the latest edition should bring even greater sales. With two companies in China pointing toward the possible mass production of electric airplanes, future flight may indeed be cleaner and greener.